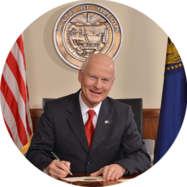 SALEM, OR — On October 25, 2018, it was discovered that there had been a delay in processing transactions filed by the Knute for Governor committee. The committee filed their transactions timely. It was determined the ORESTAR application stopped processing transactions for the Knute for Governor committee that had been prescheduled by the committee to be processed on October 22, 23, and 24. The resulting delay caused the timely filed transactions to be posted on October 25. The Knute for Governor committee transactions were the only transactions affected. It is uncommon for the ORESTAR application to stop processing transactions. The Elections Division was able to rectify the matter shortly after being notified. All transactions are now posted and viewable on ORESTAR.